JOB WELL DONE to the women and men--past and present--of the New Orleans Fire Department! Engine Company 11, complete with dog, posed for this photograph in front of the engine house at the corner of Napoleon Avenue and Pitt Street in uptown New Orleans. 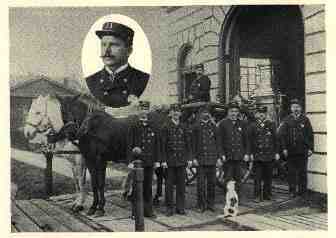 This image is from History of the Fire Department of New Orleans, edited by Chief Thomas O'Connor and published in 1895. 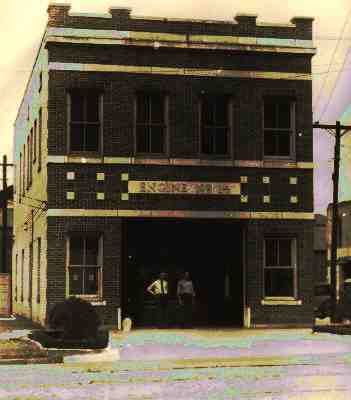 The home of Engine #14 in 1933. Located just down the street from the Main Library, at 1601 Tulane Avenue, the building was erected in 1930. It was demolished in the 1960s to make way for the I-10 East up ramp. 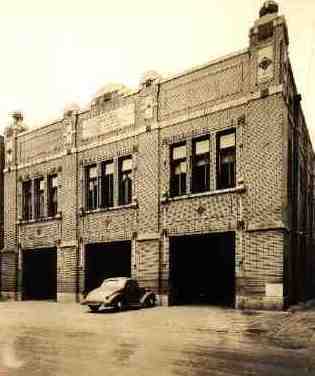 The Central Fire Station at 317 Decatur Street as it appeared in 1939. 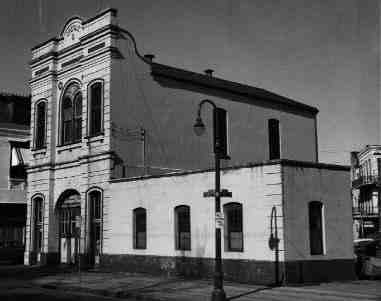 The old house of Engine 9 at the corner of Esplanade Avenue and Frenchmen Street, ca. 1959. Built in 1888, the structure was replaced by a modern facility in 1961. Photograph by Ted Picone. 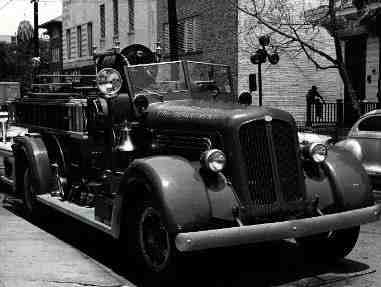 Engine 16, a Seagrave unit purchased by the city in 1945 and still in service at the 1832 Thalia Street fire house when this photograph was taken in 1963. Go to Part 2 of the March Images of the Month Gallery.